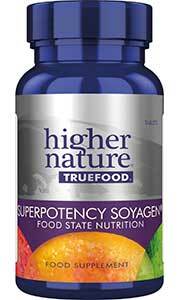 Protect your bones throughout the years with Super Osteofood. Whether you are going through the menopause or simply want to focus on your bone health, this well-rounded supplement is ideal for women of all ages. 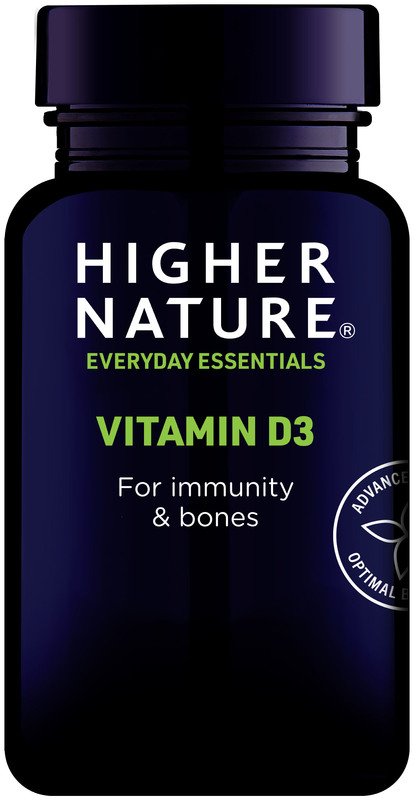 It contains nourishing ingredients such as magnesium, zinc, calcium, vitamin D and vitamin C, which have been carefully balanced to not only help maintain healthy bones and teeth, but support the formation of collagen too. For strong healthy bones, take Super OsteoFood and Vitamin K2, a powerful combination of all the important bone nutrients. Vitamin K2 is particularly key for helping maintain bone mass in post-menopausal women. 120mg Vitamin C, 10µg Vitamin D2 (400iu), 414mg Calcium, 210mg Magnesium, 120mg Super Potency Soyagen, 3mg Boron, 4mg Manganese, 5mg Zinc, 10mg Vitamin B6, 2000µg Copper, 13mg Silicon. Take 3 tablets a day. My osteopenia has 'slowed down' in my last bone density test - it is now at a 'normal' level for a woman of 51. 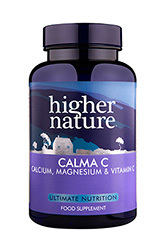 I believe this is due to these marvellous supplements - with the essential Magnesium (to aid good calcium retention). I am also addicted to walking, a bit of yoga and I eat lots of broccoli and almonds - which helps too. The BEST osteocare product on the market - from my 8 years with Higher Nature, I wouldnt waste time or money on going elsewhere! Most of us living in the more northern latitudes know how vital vitamin D supplementation is during the winter months, but are our levels compromised in the summer months too by sunscreen and covering up?